Home / Fanboy News From Around The World / Fanboy News! Why Frank Oz Will Not Sign Star Wars Items! JFK Autograph Up For Auction! Star Wars Celebration! and More! This week we have the reason Frank Oz Won’t sign Star Wars items, Celebration and more! The feud between Ronda Rousey and Beck Lynch dates back to Evolution. Becky was scheduled to face Ronda at Survivor Series. Unfortunately, Lynch was injured and unable to compete. Since then, Lynch personified herself as, “The Man.” Tensions between the two have been rising ever since. Now, flash forward to The Royal Rumble. Lynch lost her match to Asuka making Asuka the new SmackDown Live Women’s Champion. That match would not be the last we see Lynch that night as she would go on to win The Women’s Royal Rumble. 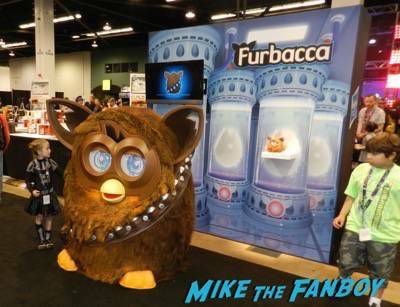 Thousands of fans are expected to descend on the McCormick Place for “The 2019 Star Wars Celebration.”The five-day event kicks off Thursday and will celebrate all things “Star Wars,” from video games, TV shows, books, memorabilia and autograph booths. There will also be panels and sessions with stars and filmmakers. John F. Kennedy’s potentially last autograph is heading to the auction block.The 35th president autographed a small spiral notepad before he was was assassinated in Dallas on November 22, 1963.The signature is in red ink, and the owner has also annotated the paper. We’re not exaggerating even a little bit when we say that you absolutely, 100% must hear Whoopi Goldberg’s bathroom-visit-gone-bad story that she told on Tuesday’s episode of The View.The comedian brought up her truly insane experience while discussing, of all things, the nationwide college admissions scandal. After talking about actress Felicity Huffman’s public apology, The View ladies had thoughts about how Lori Loughlin (who, along with her husband, Mossimo Giannulli, allegedly paid $500,000 for her two daughters to pose as USC rowing-team recruits to get them into college) was handling it all. When Sunny Hostin brought up that it wasn’t a good look for Lori that she was reportedly seen signing autographs in front of the courthouse, Whoopi jokingly came to her defense. Last year, a car lost control and crashed into the two-time major champ’s RV.But that incident didn’t scare Daly off, apparently, as he was back in his usual spot on Monday, greeting fans and even granting one unusual autograph request. If you’re going to Star Wars Celebration and want to get an autograph or a photo-op with your favorite Star Wars actor, make sure you buy at ticket at StarWarsAuthentics.com. You can find autograph opportunities from actors such as Hayden Christensen, Forest Whitaker, Paul Bettany, Erin Kellyman, Jason Isaacs and more. A collection of prestigious autographs, including by Harry Potter author JK Rowling, are set to go under the hammer in Staffordshire.More than 240 notable figures including Sir Paul McCartney, Wallace and Gromit creator Nick Park, Sarah Ferguson, singer Phil Collins and Sir David Jason are included in the collection. Fanboy News! Confessions Of An 8th Grade Autograph Forger! NCAA Restricts Camp Fans! Why Do We Pay For Autographs At Cons? And More! Fanboy News! Danica Patrick Rude To Fan During Signing? Billie Joe Armstrong’s Letter To eBay Sellers! Autograph Battles! And More! Fanboy News! NCAA Refuses To Change Autograph Policy! JK Rowling Top Priced Autograph! Madonna Auctions Off Memorabilia! Reese Witherspoon Steals? And More! Fanboy News! 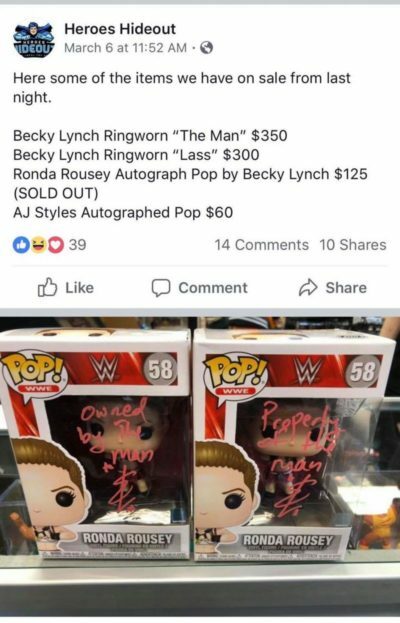 Autograph Lawsuits! Raven-Symoné Gets Schooled On The View! 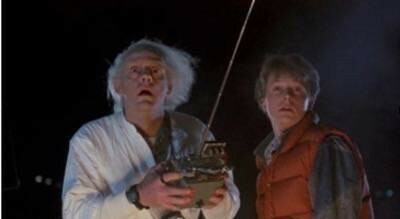 Back To The Future Reunion! And More!